Brickell real estate is all about luxury condos and waterfront condos in Brickell offer the ultimate in luxury, lifestyle and amenities, not to mention some of the best views in all of Miami. Brickell waterfront condos range from older buildings in South Brickell to newer luxury condos on Brickell Bay Drive and on Brickell Key, a private guard gated island with 11 waterfront condo towers. No matter what you are looking for, the Forster Team can help you find the best waterfront condos in Brickell for your needs and budget. 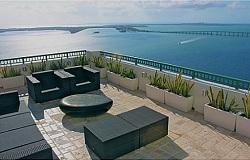 Thinking About Buying or Selling a Condo in Brickell?